So what exactly is Melasma? Melasma is a skin disorder, in fact it's the most common skin pigment disorder, which results in hyperpigmentation of certain areas of the skin. Hyperpigementation simply means an abnormal darkening of the skin due to stimulation of the pigment producing cells known as Melanocytes. The pigmentation in this disorder tends to be symmetrical (meaning that it's the same on both sides of your body/face) and is often referred to as the mask of pregnancy. Despite Melasma being so common there aren't a lot of known treatments! This leaves people who suffer from Melasma often jumping around from product to product trying to figure out what will work for them. 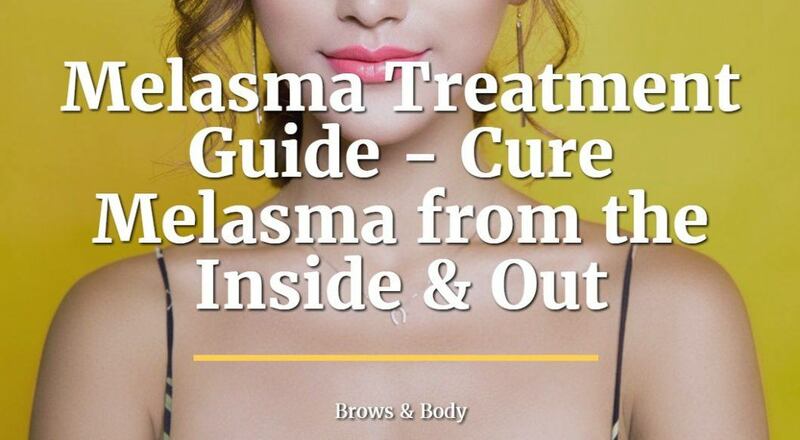 Luckily there are some therapies that YOU can use to treat Melasma, but in order to understand these therapies you really need to understand what CAUSES Melasma. One of the main reasons that conventional therapies tend to fail in treating Melasma is because this particular skin disease is probably more the result of issues that occur INSIDE your body than outside of your body. The normal approach to treating skin diseases is to always apply creams, gels and lotions to the outside of the skin hoping that it will fix the problem. But what you need to understand is that many problems on your skin indicate a problem INSIDE of your body! So simply putting on lotions, gels or creams is often not enough to treat the problem because they don't tackle or treat the underlying cause. So let's talk about the actual causes of Melasma so we can talk about treatment. Believe it or not Melasma is not caused by any one single thing. In the medical world the cause of Melasma is considered to be multi-factorial. In simple terms this just means that multiple factors align to cause the condition. It also means that not every single person who has one of the factors will necessarily get Melasma. Any disease that is considered to be multi-factorial is always difficult to treat because it means that there is no one single treatment. And in our current world most Doctors are always looking for that one thing to treat or to use. So if you've been experiencing Melasma and you've only been doing one therapy or one treatment then that may be the reason that you haven't had success. Conditions that are multi-factorial often require multiple therapies that target different factors in order to get results! When you couple that with the fact that most people focus on treating the skin (instead of the inside of the body) you can see why Melasma is so difficult to treat. With this concept in mind it's important that we discuss the "risk factors" for Melasma. The way to think about this is that the more risk factors you have the more likely you are to experience Melasma. The most common presentation for those who present with Melasma is to start to notice darker skin on the face usually during pregnancy which then persists afterwards. In fact it is estimated that up to 50-70% of women will experience some hyperpigmentation during pregnancy! And we know that some serious hormonal changes occur during pregnancy which probably start the process. Then, in those who have the right (or wrong) genetics, Melasma starts to kick in and the skin becomes darker. The risk factors listed above tend to trigger an overproduction of certain cells in your skin known as Melanocytes. These melanocytes are the ones that are responsible for your skin color. These are the same guys that you TRY to stimulate when you get a tan because they are responsible for producing a tan. While they may be good if you want a tan, they aren't necessarily good in this case. In Melasma the melanocytes often get hyper sensitive and start over producing melanin or pigment in your skin but only in certain places. These places tend to hit your face, eyes, forward and upper lip area - but can also occur elsewhere. So just by looking at this situation we know that those suffering from Melasma obviously have some issue with their hormones, in addition to their skin. And this idea is what helps us determine how to treat the condition. In order to treat Melasma you need to focus on both the INSIDE of the body and the OUTSIDE of the body. We will talk about both but let's start with the outside first. By the outside I am referring to your SKIN itself. Most people primarily focus on the skin, and while this is a good starting point, you really should also be focusing on what is happening on the inside and to your hormones. Most of the treatments regarding the skin tend to target the melanocytes in an attempt to shut them down or at least slow them down. The idea is that if you can slow down melanin production then you can normalize the color of your skin. The first ingredient that you want to know about is known as Arbutin. Arbutin is a natural ingredient found from plants which acts to block the production of melanin by inhibiting an enzyme known as tyrosinase. One of the benefits of using Arbutin is that it is a NATURAL skin lightener and not one that will potentially damage your skin. Arbutin can be compared to a prescription known as Hydroquinone (more on that one below) which is a prescription medication. One of the problems with Hydroquinone is that it is very strong but often times once you stop taking the medication your skin color returns. This problem can be avoided by using Arbutin because it is not quite as strong. Arbutin is a must in your Melasma treatment regimen. You can get a naturally occurring Arbutin in some cosmetic products and I generally recommend you use it in combination with other highly active ingredients (including ingredients such as Vitamin C serum). My recommended product is iS Clinical Super Serum Advance+ which contains Arbutin, L-ascorbic acid (vitamin C) and copper tripeptide growth factors. You should use Arbutin in combination with at least one other natural face lightening treatment below and in combination with the supplements listed below. It may take several months of use before you see complete elimination of your Melasma but you should notice fading within the first month. Kojic acid is another natural skin lightening agent that can be used topically on the skin to help reduce skin hyperpigmentation. Kojic acid is actually created in the fermentation process of rice wine. Luckily it has some very important benefits on the skin! It's commonly used in the cosmetic industry to help even up skin tone, but it can also be used in Melasma treatment. One of the big problems with Kojic acid is that it isn't very stable. In order for Kojic acid to be effective it must be in a protective carrier which blocks light exposure and limits air exposure. When you look for a Kojic acid product make sure that you find one that comes protected from the elements otherwise it may not work well. You will notice that cheap versions of Kojic acid may not come adequately prepared which can limit its quality. Kojic acid can be safely combined with other ingredients listed in this guide! Next on the list is something that you should definitely already be using in your skin care regimen! Vitamin C serum (along with Vitamin A) is probably one of the single best things that you can put on your skin. In cosmetic school aestheticians and dermatologists are taught that Vitamin C will help "lighten, brighten and tighten" the skin. Lighten refers to Vitamin C's ability to lighten the skin, brighten refers to its ability to even out skin tone and complexion and tighten refers to its ability to reduce the aging process. The key to using Vitamin C serum is to find a high quality product which protects the vitamin C from light, element exposure and keeps it at the right pH. Finding a product which does all of these things can be difficult, but once you find a high quality product you will understand why it's so effective. When treating Melasma I usually recommend a combination of Arbutin + Vitamin C or Kojic Acid + Vitamin C.
You don't necessarily need to use all 3 products, but I would at least combine two together for best results. 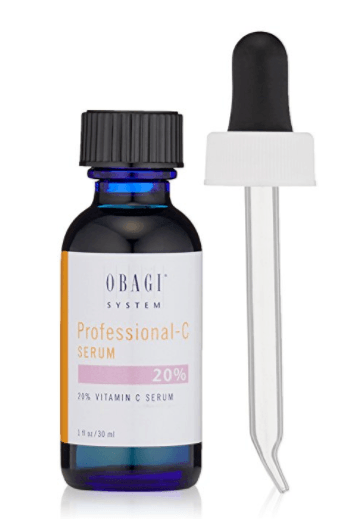 If you aren't familiar with Vitamin C serum then I recommend you read this post which goes into detail about how to use it. Hydroquinone is a powerful skin lightener and is the only prescription skin lightener that we are going to talk about today. Hydroquinone 4% definitely works to lighten the skin, but that's not really the issue - whether it works or not. The problem with hydroquinone is that some people tend to get a rebound hyperpigementation after they stop using it. So while it may work very well while you are using it, much of the benefit you get while using it may fade once you stop. This is well known in the cosmetic industry and is one of the reasons that Doctors are hesitant to prescribe this medication. You can sometimes bypass this problem by using hydroquinone "cycles" where you use hydroquinone for 4-8 weeks, take a 4 week break and repeat this process several times. Often in the "down times" people will use Arbutin or the other skin lighteners listed in this guide. This process can work and may work well for some, but it usually isn't necessary as long as you take the other steps listed here. If you want to get hydroquinone you will have to get a prescription from your Doctor - usually a cosmetic dermatologist or a plastic surgeon. In addition to using creams and serums you can also use physical therapies such as microdermabrasion to help treat your Melasma! These therapies help to accelerate the exfoliation of dead skin cells and may stimulate and regulate melanocytes in the process. These exfoliation therapies may not work for everyone, and may not be necessary for each person but they should be considered for some people with tough to treat Melasma. Often the addition of microdermabrasion to Vitamin C serum and Arbutin can help improve absorption and increase the effectiveness of these therapies. You don't have to start with this therapy though. Instead you can start with the serums and other therapies listed below and then use microdermabrasion if you aren't seeing the results you want. Now that we've talked about treating Melasma from the outside we can start to talk about treating it from the inside. And by the inside I mean using certain supplements to help control and regulate the hormones involved in stimulating your melanocytes. We know that one of the main triggers of Melasma is pregnancy. And we all know that during pregnancy hormone levels tend to be at extremely high levels. Sometimes these hormone imbalances can stick around after delivery and that may be the reason that Melasma tends to stick around in certain people. Even if you fall into this category there are certain supplements that you can use to help balance your hormones. One of the most effective and powerful supplements you can use is known as DIM or Diindolemethane. 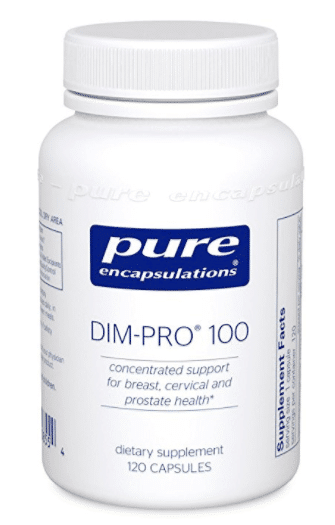 DIM helps your body to regulate estrogen levels by increasing how your body eliminates or metabolizes this hormone. This ingredient is often found in certain vegetables so it may be possible to get this benefit by consuming lots of broccoli or cabbage as well! By reducing estrogen in your body it will reduce the amount of stimulation on your melanocytes and therefore help reduce pigmentation. This therapy often works very well when used in combination the serums listed above. For the most benefit make sure you use 200 to 400mg per day of a high quality DIM complex which includes at least 25% diindolylmethane. Be prepared to use DIM for at least 3-6 months! 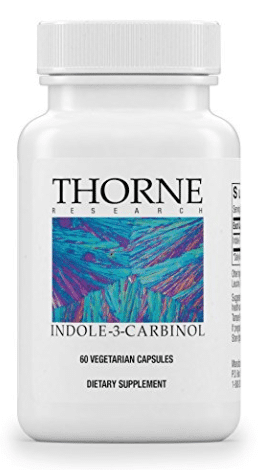 Indole 3 Carbinol or I3C for short is another product which helps your body break down estrogen and is also found in certain plants. The difference between DIM and I3C is that I3C is a more complete compound and also has anti-inflammatory properties. I generally recommend that people with estrogen issues use both I3C and DIM simultaneously for best results. There are more clinical studies on I3C than there are DIM, but both tend to be effective. Usually one is more effective than the other, depending on the person, but you can prevent using one that doesn't work by using them both together. I also have found that using them together tends to provide even better results and resolution of Melasma. 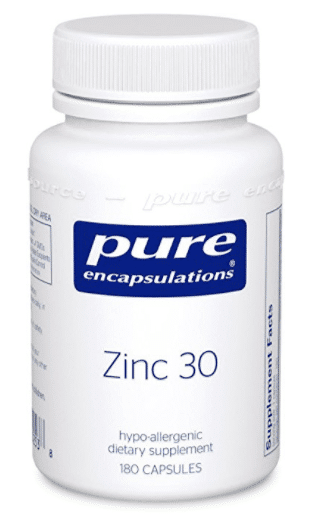 Another potential hormone balancing supplement is Zinc bound to picolinic acid. Zinc is an essential mineral that is VERY important for your skin, and it's also important for testosterone metabolism and androgen metabolism. Many women who suffer from elevated estrogen also have issues with testosterone or symptoms on the PCOS spectrum. Using Zinc can really help to metabolize androgens and help your body eliminate any extra testosterone. Another benefit to using Zinc is that it may potentially help improve your thyroid function. Zinc is involved in T4 to T3 conversion and immune function - which makes it a perfect supplement for those suffering from Hashimoto's or thyroid disease in general. Using 30 to 60 mg of Zinc Picolinate may help some women who suffer from melasma. Zinc probably doesn't need to be used as first line therapy, but it can be added to your regimen if you know that you have testosterone issues or thyroid issues. In addition to using these combination therapies you will also want to use a couple of extra tips which will help you. The first is that you need to be patient! Remember that treating Melasma WILL take time. Unfortunately it may be true that Melasma may only take a few weeks to start to cause problems, but it usually takes several months to treat. Most of the time this takes around 3 to 6 months for most people, assuming you stick to the regimens listed above on a daily basis. Some women with persistent Melasma may need to treat for up to 12 months! The good news is that you should notice some improvement and lightening of your Melasma over time. It typically doesn't just fade completely within a matter of a few days to weeks, instead the fading process is a gradual and slow fading that occurs over several months. Just stick with it and trust the process and you will experience results! The next important tip is to avoid tanning beds and excess ultraviolet light - even from the sun! Remember that melanocytes are normally supposed to increase melanin and make your skin darker, the problem with Melasma is that this process still occurs and it may make problems WORSE. The last thing you want is to stimulate the melanin in the area that you have Melasma and make that skin darker. Unfortunately this means that you should avoid allowing sunlight to hit the areas on your body that you have Melasma. Sunscreen will definitely help but it will NOT block all of the ultraviolet rays from the sun. So if you are serious about treating your Melasma make sure that you avoid the sun completely for those areas that you have hyperpigmentation. Using large brim hats and suncreen will definitely help. Vitamin C serum + Arbutin Combination to treat your skin and used in combination with DIM + Indole 3 Carbinol to treat your hormones. Other variations may include Kojic Acid + Vitamin C combined with DIM + I3C + Zinc. Using these therapies for 3-6 months should result in noticeable improvement in your skin! Are you currently struggling with Melasma? Have you been able to find anything that works? If not, what have you tried?